"We want to make a big change to the independent promoter scene in the UK, enabling 100 young women to take a chance on promoting a show they believe in. With their support, we are not only going to raise money for Music Venue Trust, we are going to start the process of identifying the next wave of fantastic new independent promoters and tackle head-on diversity in this sector. There's not enough female promoters working in grassroots music venues, and we’re going to change that." Music Planet Live will underwrite the costs on each show to a total value of £1000, giving young promoters the chance to focus on getting it right, creating a great event, and getting the crowd needed without just worrying about the money. Participants in the programme can apply for up to £500 in cash up front to cover any deposits, promotional costs, catering etc. At the end of the show, MVT will create a financial settlement and settle all subsidies and costs. 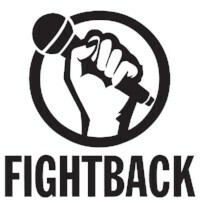 Profits from Fightback shows directly help to keep venues open through the Emergency Response service, bringing an ethical edge to this initiative. We have created a vigorous process of enrolment and checks along the way to ensure this programme succeeds and that young people get the most from it. We have a major marketing campaign lined up to support the project. We need your help to ensure it succeeds. 50 established promoters drawn from across the industry at all levels and prepared to mentor young people. Minimum level of commitment required: You will mentor two individuals, providing up to 2 hours of phone or meeting consultation to each as required, supporting the creation of a plan, and providing basic feedback by email. We particularly want to identify role models; successful female promoters. Use of your logo on promotional materials. Supporting quote from a nominated mentor. Support from educational partners working in music industry courses to identify 100 young women who can support them to make the most of this opportunity. Minimum level of commitment: Promoting the opportunity to students, specifically identifying young women who have a special interest in working in the live music industry. Supporting students to bring together a coherent plan, including making introductions to experienced industry professionals with relevant skills. Supporting the actual shows themselves so that students have a good chance of delivering a successful event. Use of your logo on promotional materials. We want this initiative to be supported right across the industry and invite you to bring us your own ideas or propose additionality, including financial support. Minimum level of commitment: Quote in support of the initiative. Use of your social media to promote the opportunity. Support for individual shows where appropriate. Use of your logo on promotional materials.